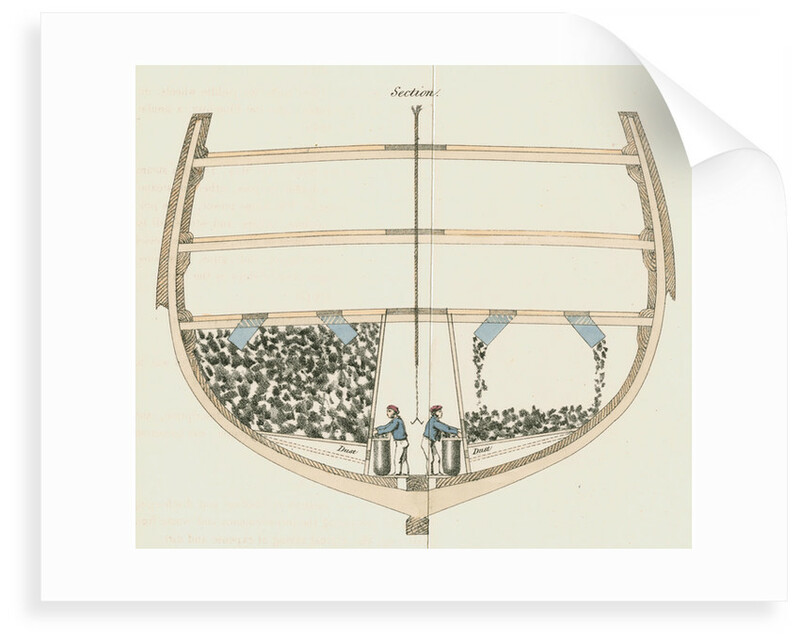 Cross section through a steam vessel to show seamen loading coal into sacks from depots in the hold. 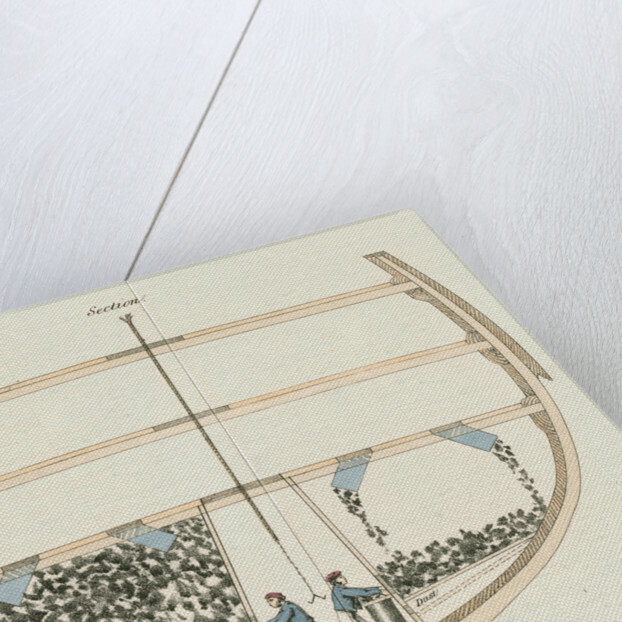 Detail of plate 10 from the book Improvements in naval architecture, by Oliver Lang (Woolwich, 1853). The plate is headed 'COAL DEPOT CX. A Plan for filling Coals in Sacks from the Hold of a Coal Depot, instead of the men going in on the Coals in bulk. H.W.Hampton Del. Day & Son, Lithrs. To the Queen.' 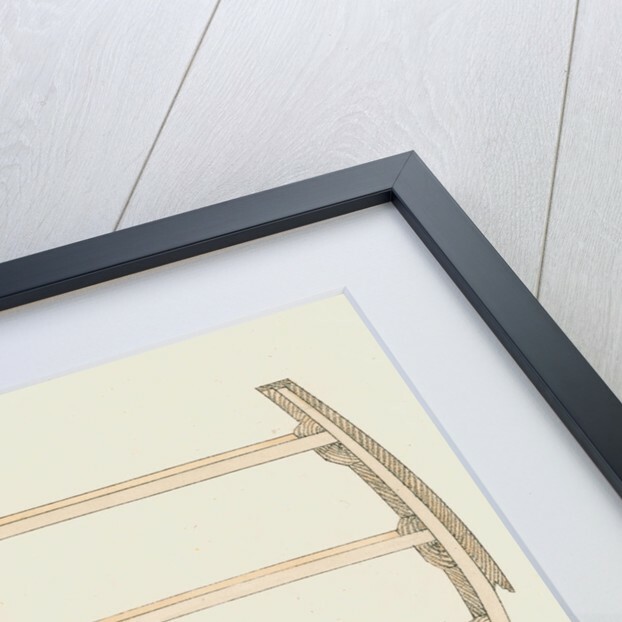 Oliver Lang (1777-1853) was a master shipwright at the Royal Naval Dockyard at Woolwich. 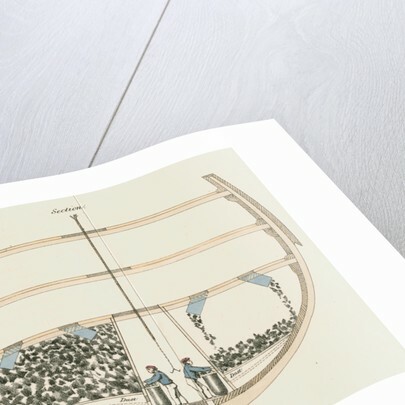 Explore the collections Engineering and architectural prints and drawings, Landscape paintings, prints and maps.